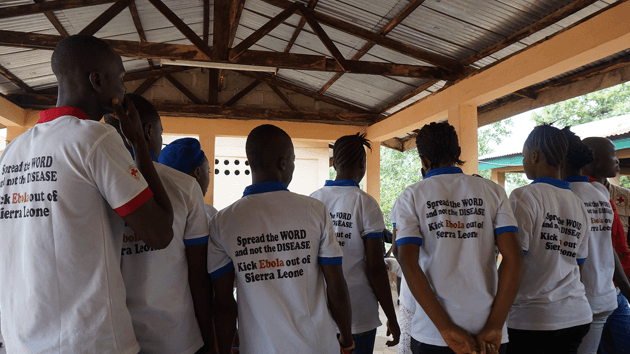 For 5 years, The Vistex Foundation has supported the Wellbody Delivery Center in Kono, Sierra Leone, providing grants for maternal health and deliver facilities and for community health worker training. In 2015, the Wellbody clinic became a partner of Partners in Health (PIH), a global health organization with a reputation for long-term commitments to countries in dire need. Our ongoing support of PIH and Wellbody has yielded some amazing results, despite some very significant challenges in Sierra Leone. The Wellbody clinic provides an essential community-hospital linkage and addresses the problem of how to care for women with high-risk pregnancies requiring close monitoring and care. The birth waiting home serves as a place to stay for expectant mothers who live far from the delivery center and hospital, providing them with a safe, dignified place rather than risking long travel during labor or delivering at home. Hospital-quality beds and mattresses were purchased from a health care distributor for the birth waiting home to ensure the highest standards of infection prevention and control. While at the birth waiting home, women receive three meals prepared for them daily as well as educational classes three times a week on topics including breastfeeding, nutrition, family planning, and infant care. To increase community engagement, PIH established a Birth Waiting Home Committee, comprised of managers from the District Health Management Team, PIH staff, and local stakeholders. Additionally, the birth waiting home with be staffed by midwives, nurses, maternal and child health aides, and traditional birth attendants, who will help strengthen community connections and provide continued support to the mothers. Future plans for the center include increasing the educational opportunities offered at the home, for example: nutritional cooking classes and mother’s group meetings for new mothers, adolescent mothers, and mothers living with HIV/AIDS. The long-term vision is to drastically increase the maternal and newborn survival rate by providing safe, dignified, and high-quality care.